delay recognition of income, and eliminate additional costs for short-lived corporations. Disability insurance (key people only). Up to $50,000 in life insurance (full time employees). IRC §105 Medical-dental reimbursement plans (full time employees). California franchise tax on annual distributions over $53,000. The business will have any non-resident alien shareholder. The business may show a net annual loss of over $50,000 per shareholder per year. sale would be linked to the business name (not personally to the business owner). The business plans to retain earnings for future business spending. The shareholders want to reduce payroll taxes by limiting their salaries to a "reasonable"
1.5% California franchise tax on S corporations). out completely for individuals at $207,500 and married couples at $415,000). The preferred corporate form is not clear, and a change in corporate status may be desired. 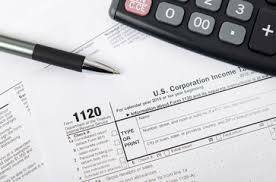 * This tax comparison of C corporations vs. S corporations is intended to address a typical startup of a small business organization. This comparison is not exhaustive, nor does it apply necessarily in each and every circumstance. The contents of this website are not intended to be, nor shall they be considered, legal advice or legal opinions. Please see your CPA and/or attorney for more thorough coverage of the subject. Pursuant to applicable federal regulations, we are required to inform you that any advice contained in this communication is not intended to be used nor can it be used for purposes of (1) avoiding tax penalties or (2) promoting, marketing or recommending to another party any transaction or matter addressed above.